We employ over 300 full-time translators specialising in Finance, Fashion, Healthcare, Hospitality and Travel, Insurance, Legal, Property, and Technology. We translate into and from all of the major Asian and European languages. 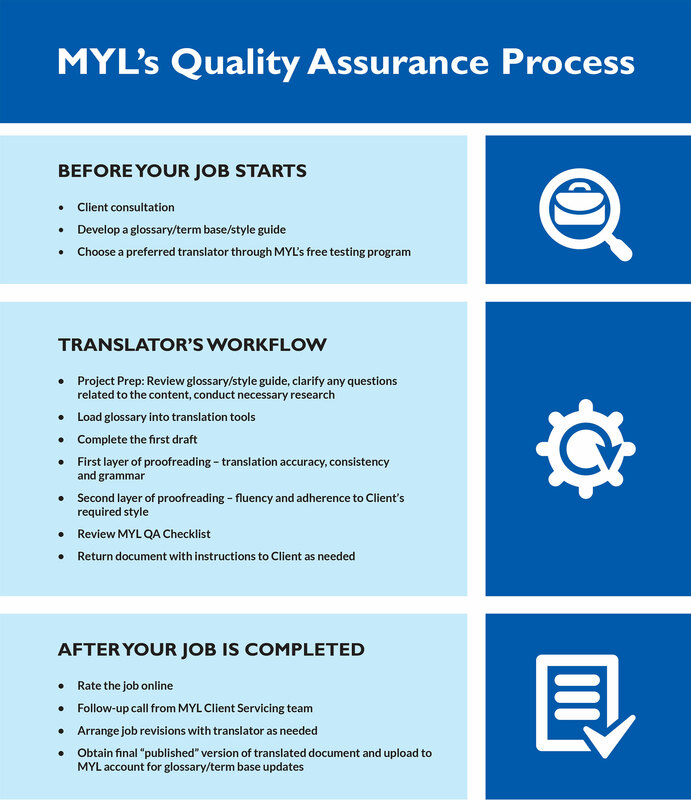 Our translation work-flow follows the MYL Quality Assurance Process to ensure consistency, accuracy and fluency.